The Kwara state government yesterday said it is committed to make the state free of HIV/AIDS by 2030. 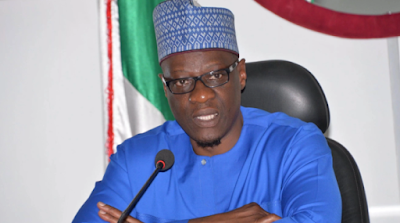 The state government added that it released a sum of N34 million to the Kwara state AIDS Control Agency (KWASACA) in the second quarter of this year for the procurement of kits and other consumables. Addressing reporters in Ilorin, the state capital to mark this year’s World AIDS day, Kwara state Deputy Governor Peter Kisira said that “we have identified the need to invest more on research and factor in certain peculiarities, as we are a border state on several fronts, having many local and international boundaries, the need to scale up access to HIV services in this area can not be over emphasised. We plan on leveraging on research and proven scientific methods to mitigate the spread of the virus among our people. “We have, as a state government been relentlessly combating the scourge of HIV infection among the population. A lot of efforts and resources have been put into the fight. We however, acknowledge that a lot still needs to be done. With the recent change in the algorithm in HIV/AIDS management, this creates a wide gap in what is obtainable and what needs to be done in HIV response in the state.